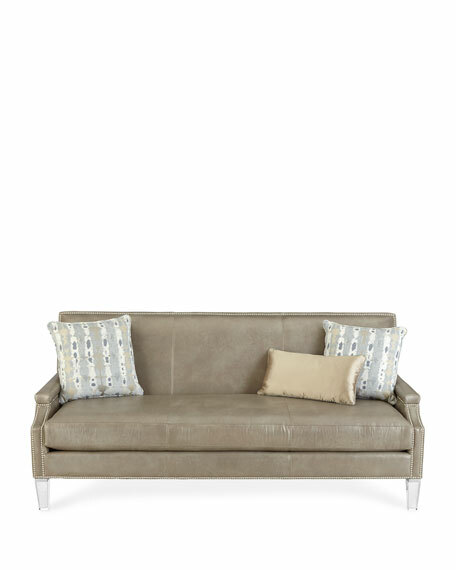 Massoud Lucine Leather Sofa 82"
Comes with two 19"Sq. rayon/polyester toss pillows and one 23" x 15" silk pillow. 82"W x 36"D x 38"T. Seat, 75"W x 25"D x 19"T; arms, 24"T.